Sophisticated design and rich combination of colors of Stacey ring is worth a queen. 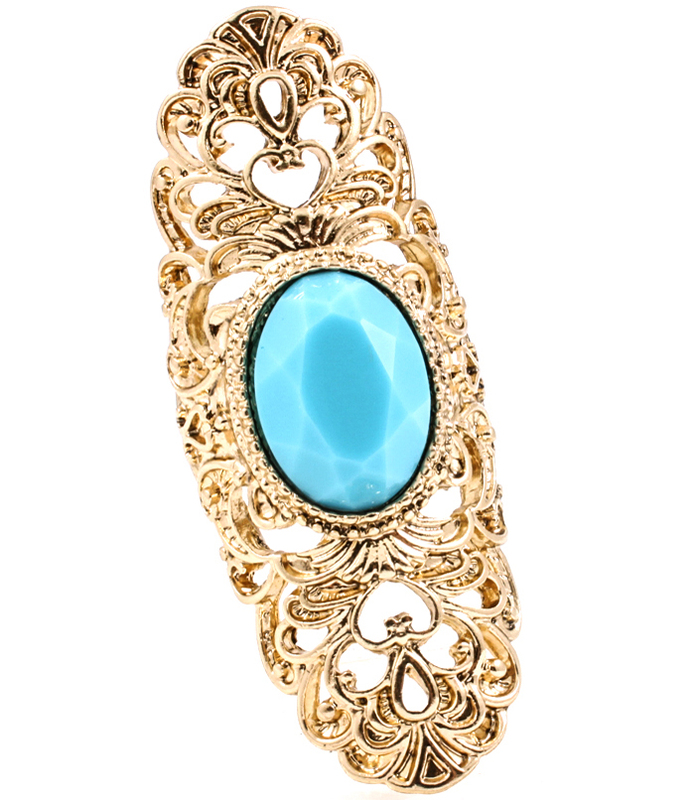 A central faceted oval stone of turquoise shade is placed in the center of majestic and exquisite gold tone framing. Buy now from Oz Bling, a popular and trusted online jewellery store.